The Astaka Johor Bahru Iskandar takes center stage at 1 Bukit Senyum featuring two iconic glass clad towers soaring to 304m above sea level, which will be the tallest residential towers in Malaysia and regionally, the only super condominium with 6 star facilites and panaromic views of the Straits of Johor and Singapore in the upcoming new CBD of Johor Bahru. 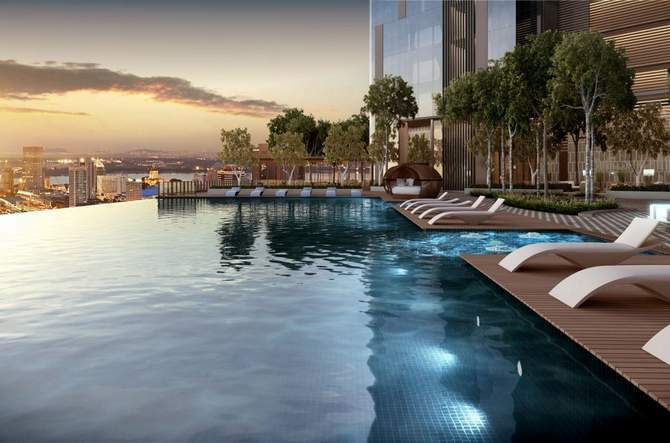 It is the epitome exceptional living yet at affordable luxury of S$400 psf only! 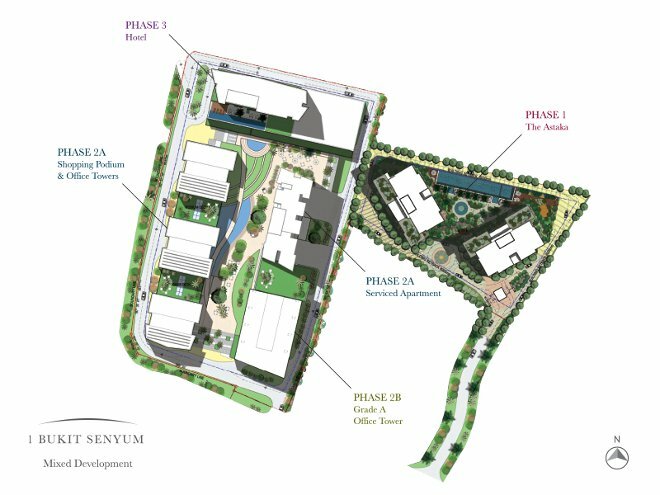 Sited at 1 Bukit Senyum, a commercial precinct comprising of an intergrated 8.6 acre development featuring a 5-star hotel, an exciting upmarket retail mall with branded boutiques and an upmarket residences comprising of two iconic glass clad towers - The Astaka. 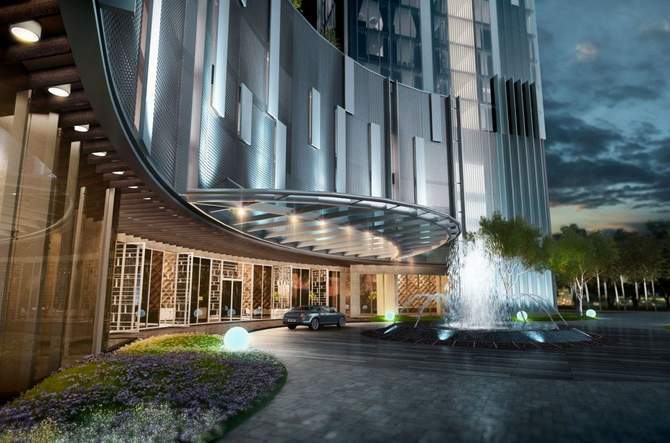 Rising 65 and 70 storeys and reaching 1,000 feet above sea level, The Astaka, which means ‘royal pavilion’ in English, will be a new landmark in Iskandar Johor Bahru. 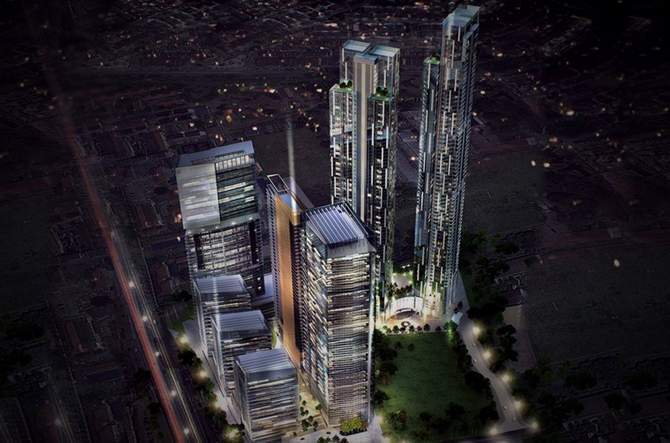 When completed by 2017, it will be the tallest residential towers not only in Malaysia but through out the region and amongst the world's iconic buildings. 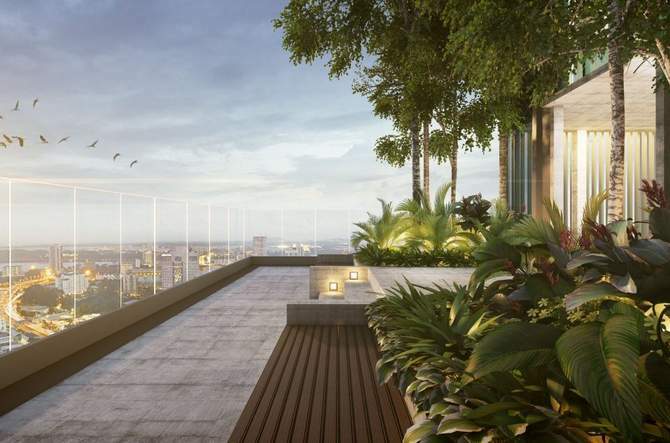 The vantage position and views The Astaka Johor Bahru Iskandar commands need no further embellishment - right in the midst of rapidly growing Iskandar Zone A region, overlooking the Causeway and the glittering skyline of Singapore. It is just 800m or less than 5 minutes drive from the Johor CIQ via its own dedicated tunnel as slated in the masterplan. 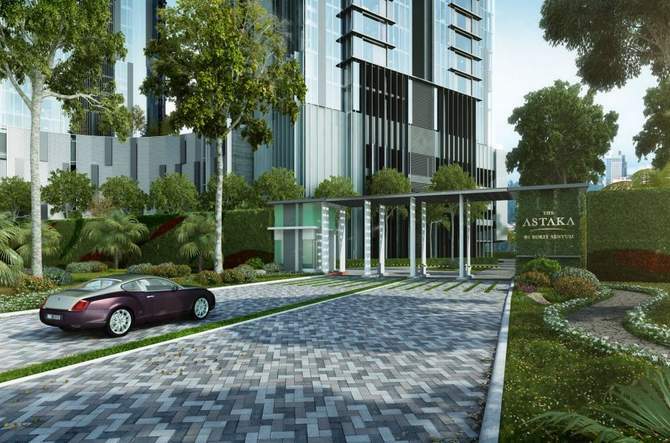 Nestled on a piece of prime estate in the middle of the future Central Business District of Johor Bahru, marked down in the master plan for Iskandar, The Astaka Johor Bahru Iskandar site at 1 Bukit Senyum is the only FREEHOLD Status land in the neighbourhood, surrounded by state land of low rise buildings with 99 years leasehold titles. Bukit Senyum also has historical significance for being the residential site of the state’s first Menteri Besar, Dato Jaafar bin Haji Muhammad. Developed by Astaka Padu Sdn Bhd, comprising the team behind Puteri Harbour, while the stunning architectural designs is by Malaysia award wining GDP Architects, The Astaka residential towers houses 438 luxury suites, including penthouse duplexes with unit built-up area ranging from 2,207 sq ft to 5,408 sq ft. To ensure exclusivity, each floor houses only four units and each unit has its own private lift access to the spacious apartment with efficent layouts. Enter the driveway past the security gates and the chic, stylish towers of The Astaka and verdant landscaped grounds come into view, You become even more aware of the grand design - meticulous attention to detail meets tasteful aesthetics. 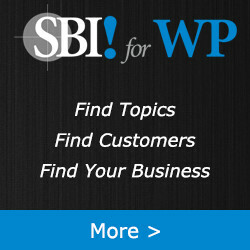 Round-the-clock security and concierge are part of the services. Their warm greeting as you arrive at the grand triple volume lobby signals you have arrived home. 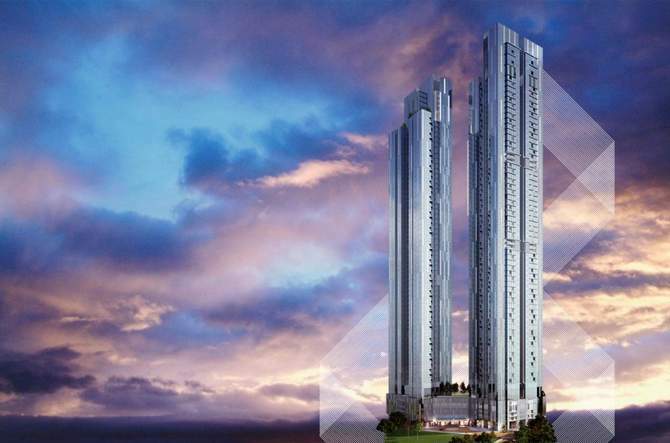 Then take your private high-speed lift to jet you up to your residence where boundless luxury awaits..
Just as the distinctive design invites admiration, gazing out from the spectacular full height windows will equally draw awe and amazement. 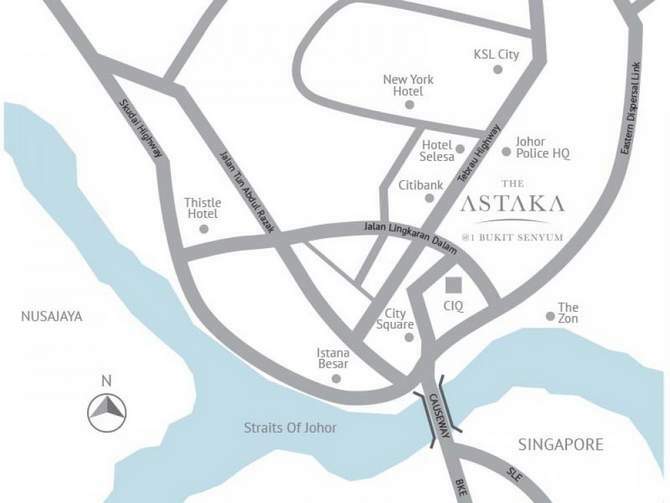 The Astaka Johor Bahru building is wonderfully orientated for prime views over the shimmering waters top the lights of Singapore. 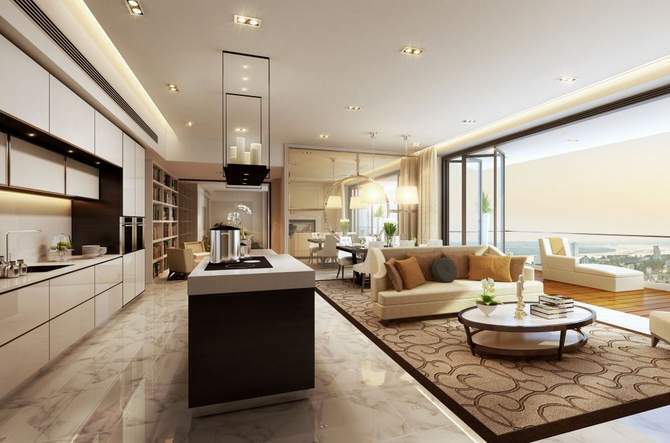 The ceiling looms high at 3.6m collaborating with ample natural light and cross ventilation to add grandeur to comfort. 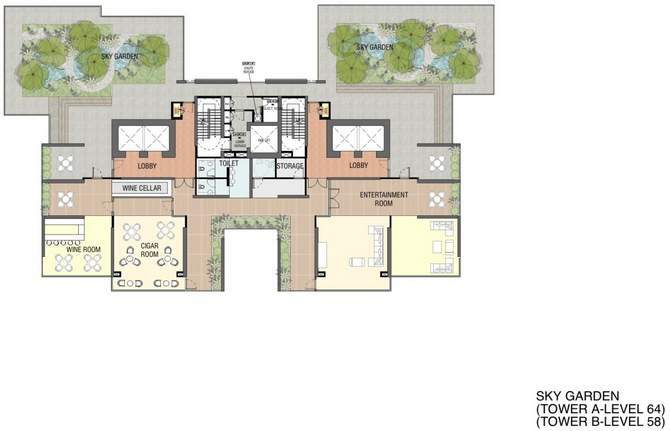 There are only four exclusive unit on each floor with luxurious sizes ranging from 2,207 to 5,408 sf. 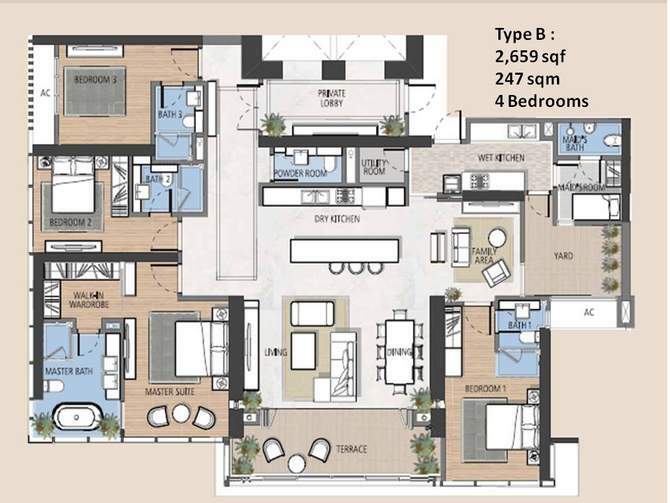 Each has its own private lifts and fully air conditioned, living and dining lavishly finished with marble flooring, ensuite bedrooms with timber flooring and kitchen fitted with top-of-the range designer appliances and tapware. 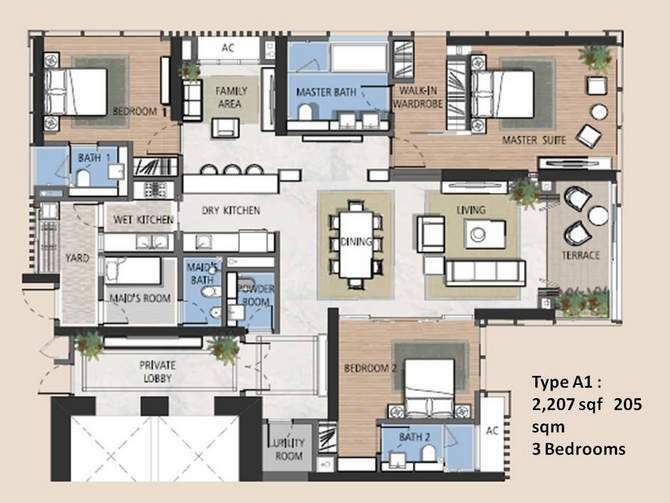 The Astaka is masterfully crafted to raise the bar on exceptional living. When it comes to recreation, think of coming home to your own exclusive club complete with designer gym, infinity pools, spa baths, cigar and wine lounge, library, yoga deck, cafe and chill-out terrace active or meditative, your personal access card opens the doors to both. 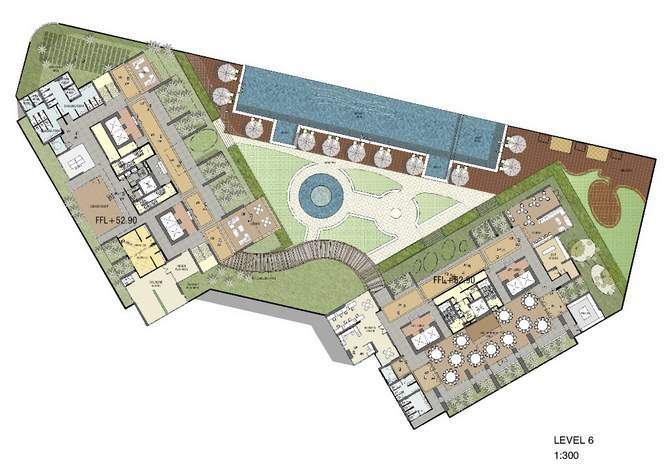 You will also be pleased to know the entire building is CONQUAS cetrtified and complies with stringent green standards. 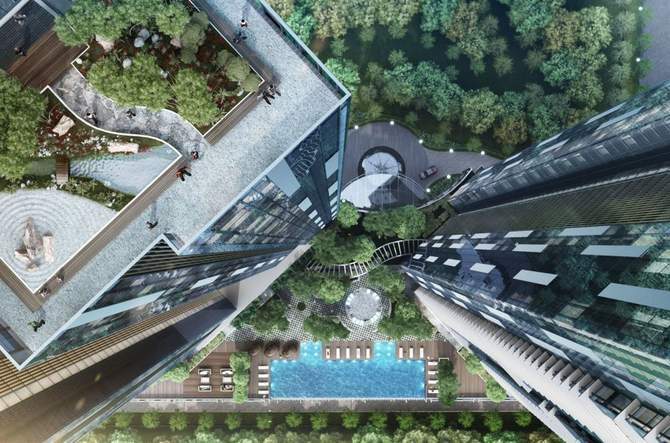 Wander through The Astaka sky gardens, lush with tropical plantings. Follow a footpath, discover shaded gazebos, or curl up with a book, away from the daily hustle and bustle of city life way down below while the world goes about its routine unaware that you are escaping into your private green wonderland 58 and 66 storeys above. 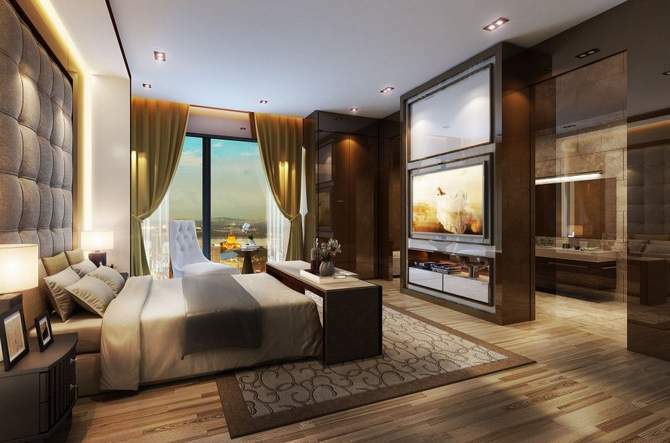 The Astaka Johor Bahru Iskandar offers four type of exclusive apartment layouts and duplex penthouses. 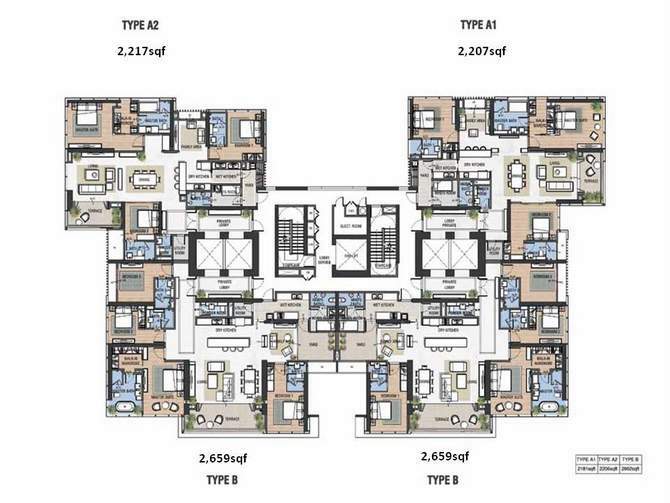 On each floor there are only 4 exclusive apartments each with their own private lift. 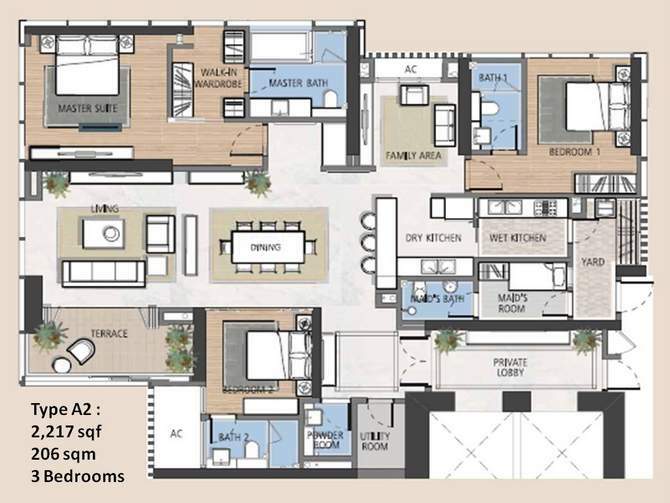 Here are the 4 typical apartment layouts, spacious, functional and efficient, to choose from. Register for VIP Show Gallery Appointment Now!